Send a superfun message for your next acrobatic event with the Retro Gymnastics Postcard. 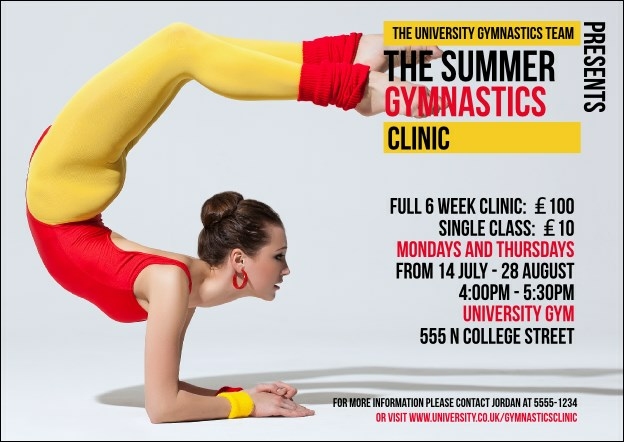 Printed on high quality card stock, this postcard showcases a talented young gymnast in bold red and yellow colours. Order a Matching Event Kit for continuity in your athletic event promotion. At UK Ticket Printing, we'll bend over backwards to help you have a great event!